Teddy Bears Picnic is Inspired by one of the world's most popular children's songs capturing cute bear antics and images of a sunny day. Every pewter piece is beautifully sculptured and elegantly finished with little bears playfully adorning the creations. This charming wind-up music carousel in pewter features teddy reading to his forest friends at the picnic and plays the lullaby 'Hush Little Baby'. 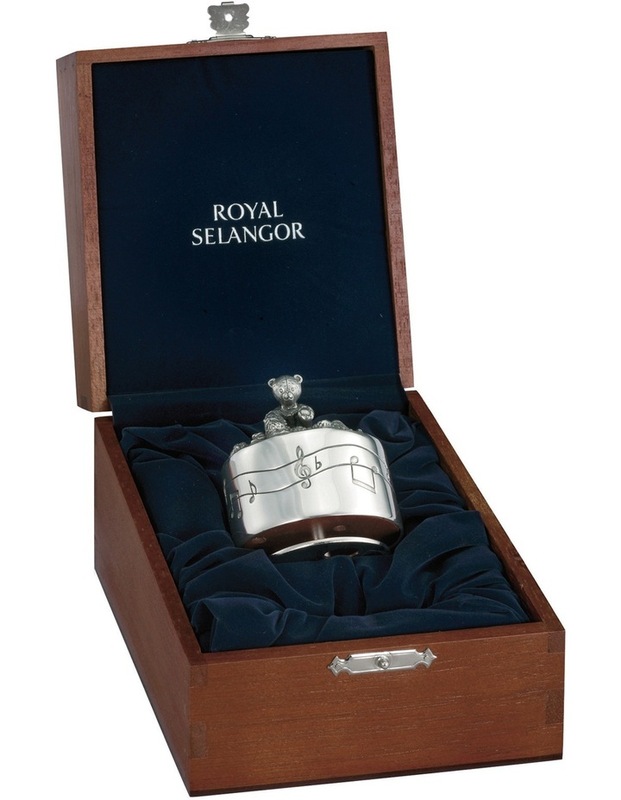 Presented in a wooden gift box by Royal Selangor.